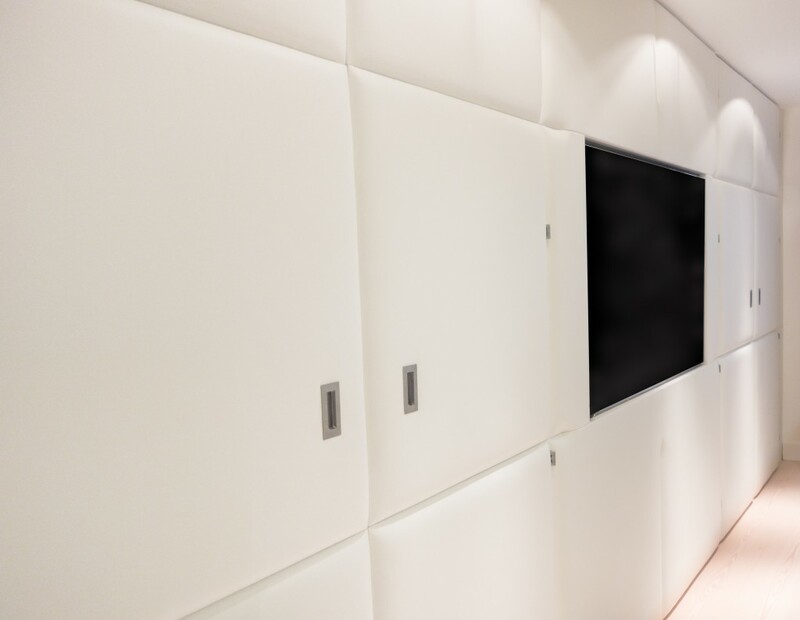 Contemporary-chic wall coverings/panels made of real leather, wool, linen etc that can be made to the smallest detail and perfectly crafted on site to obtain a result that is sober and sophisticated elegance. 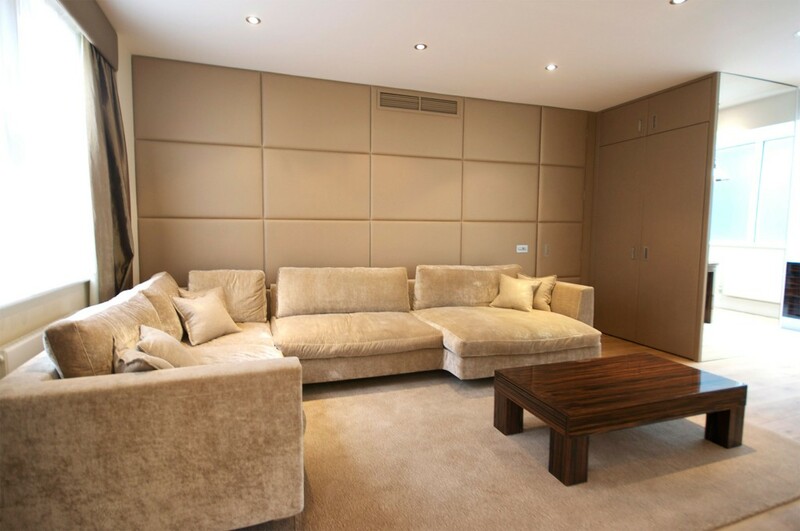 Our panels can be made with different shapes and sizes for a seductive effect of grace and sophistication. A neutral composition but especially designed to enhance the walls of a study, a living room or a bedroom and create an unexpected effect of depth and width. The soft feel creates an intimate, comfortable and relaxing atmosphere. The use of leather for example, creates a functional and original solution and its resistance and maintenance is much easier than you might imagine, it does not require any special device. They can be made to match any decor and they are enhanced in combination with other natural materials such as wood and stone. Since our panels are tailor-made; a wide palette of colours and fabrics can be used to spark creativity of architects and designers who can design their own composition to create a totally unique and original result. Each of our panels is handcrafted for each specific project, which makes them even more unique.